What better day to go to a sold-out small business technology conference than the morning after the Australian Federal Budget – a day when small business is on everyone’s lips and the government has pledged $300 million to cut red tape and use technology to streamline compliance? Because there are many efficient technological tactics that small businesses are working out for themselves – as we heard at Wednesday’s event, hosted by Shannon Smit and Nadia Hughes of Smart Business Solutions. Indeed, the small business panel hosted later that day focused on being more efficient. 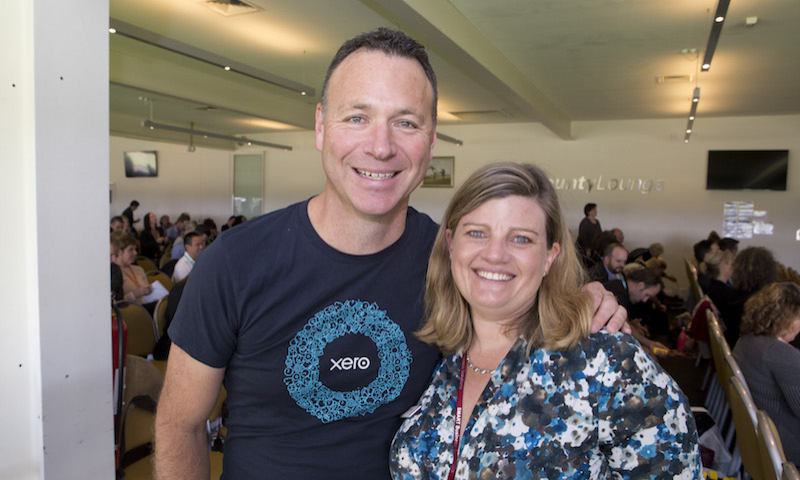 “As any business grows, you start to notice cracks in your processes,” said Matt Bebe, who uses Xero in his role as Managing Director of the Mornington Peninsula Brewery. With the ability to connect to banks, advisors and hundreds of third-party tools, the local small businesses learned how cloud technology can help them select solutions that will smooth out their process pain points; to be more effective and more efficient. The ability for small businesses to go global was another recurring theme. As more keynote speakers took to the stage, speaking about innovation, social media and self belief, small businesses heard one resounding theme: you have the tools to build global companies that can take on established markets, to import or export products and grow the Australian economy. Most small businesses don’t go into business to do their accounts; they take the risk because they want to do something that they love. “That’s exactly why we take all those big scary-sounding trends that you hear of – big data, artificial intelligence and machine learning, for example – and make things easier for small businesses,” Trent explained. “Accounting can be hard, but it doesn’t have to be. And Australian archer Alec Potts, a 2016 Olympic bronze medallist and founder of Eliza Archery, capped off the spirit of the conference with his personal story. The post BITECON 2017: Talking tech with small businesses appeared first on Xero Blog.